At The Vale Hospital our experienced consultants specialise in a wide range of men's health procedures and can provide you with expert advice and if required fast access to surgery through a treatment plan tailored to you. 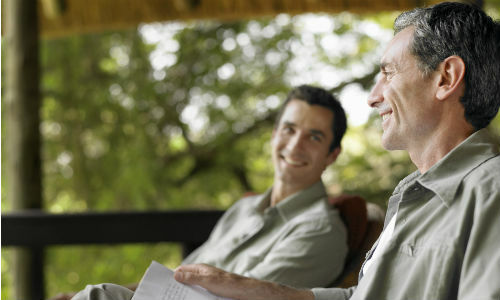 Why choose Nuffield Health The Vale Hospital for your men's health treatment? At Nuffield Health The Vale Hospital, we believe good health allows you to get the most out of life. In today’s busy world, managing your professional life, looking after your family and keeping up with friends, means it’s sometimes difficult to take a step back and think about your general health. From our experience we find that men are far less proactive than women when it comes to their health and some can allow symptoms to develop before seeking advise or medical treatment. Many conditions that affect men’s health happen gradually and can go unnoticed. A problem may start as a minor niggle and before you know it you’ve learned to live with it, putting any concerns aside as you get on with your life. Our experienced men's health experts dedicate themselves to improving the health and wellbeing of men across South Wales and specialise in a wide range of treatments. If you are a man suffering from symptoms, get in touch and let us help you get back to the life you love. If you are suffering from a condition or want reassurance from a medical professional, you can discuss your symptoms / treatment options with one of our urology consultants by booking a private consultation via our dedicated hospital enquiry team on 02920 007607. As well as the Vale Hospital, our men's health consultants operate out of Nuffield Health Cardiff Bay Hospital for initial consultations, diagnostic imaging and pre-op tests.